Egypt, with a fascinating history dating back to civilization, is considered the oldest travel destination in the world. Egypt overflows with archeological treasures. The awesome temples and pyramids have captured the imagination of travelers for thousands of years. 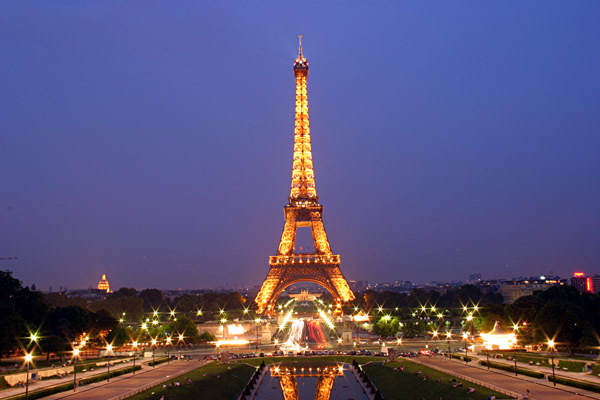 Not just the ancient monuments, the natural attractions also beckon to the travelers. The timelessness and permanence, bolstered by religion, pervade every aspect of life in Egypt. While Egypt may be experiencing political and social turmoil, the mysterious and exotic locations continue to stand still. If you are considering visiting Egypt, then here is a list of top 10 places to visit according to our choice. Cairo is a busy and bustling city of Egypt located near the mouth of the Nile River delta. It is considered the heart of Egypt. The place is usually a starting point for the explorations of the Pyramids at Giza and cruises up the Nile. You will find every aspect of this mystical country here. Visit the Egyptian Museum at the Tahrir Square to get a close-up view of the mummies, the treasure of Tutankhamun and several other artifacts from the ancient past of Egypt. The Giza necropolis, located near the suburbs of Cairo is the most famous ancient site in the world. It houses the pyramids, the iconic image of Egypt. The pyramids were built over a span of three generations. 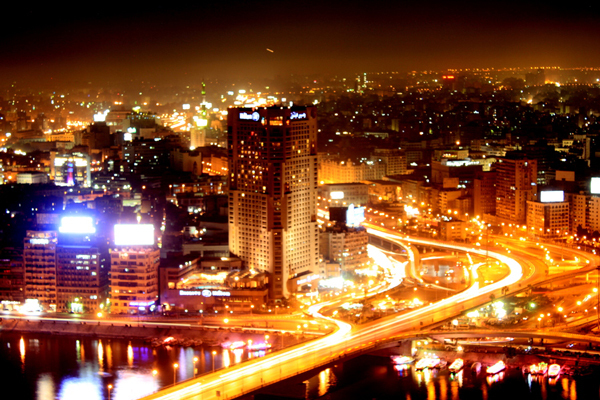 Cairo also offers an incredible nightlife, leisure and shopping. Luxor was the religious capital of almost all the of the Pharaoh kingdoms. A thousand years from the construction of the Pyramids of Giza, the power of the kingdom shifted from the Memphis to Thebes, modern-day Luxor. Luxor is an open-air museum of the world. It is estimated the Luxor contains about 1/3 of the most valuable antiquities and monuments in the whole world. Nothing in the world can match the grandeur of the monuments that survived from the ancient times. This mid-sized city has a lot to offer to the travelers, from the ancient temples of Karnak to the royal tombs of the Valley of the Kings and Queens. The best highlights of Luxor include Valley of the Queens, Deir El-Bahri and the Valley of the Kings. Aswan, situated at the foot of the Nile Valley, is the third largest city in Egypt. This mid-sized city is located on the north of Lake Nasser. The river flows gently down from Lake Nasser, making a beautiful sight. This laid-back city is a perfect play to recover from the rigors of traveling around the Nile. It is the mining area for iron and aluminum. 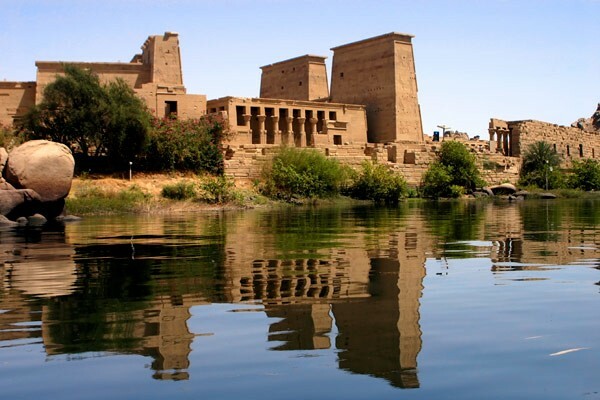 Aswan is the base for excursion to the Sun Temple of Ramses II at Abu Simbel, and the temples of Kabasha and Philae. The local market of Aswan is a great place to do holiday shopping, especially if you are looking for unadulterated spices. Dahshur is a necropolis located on the west bank of the Nile River. 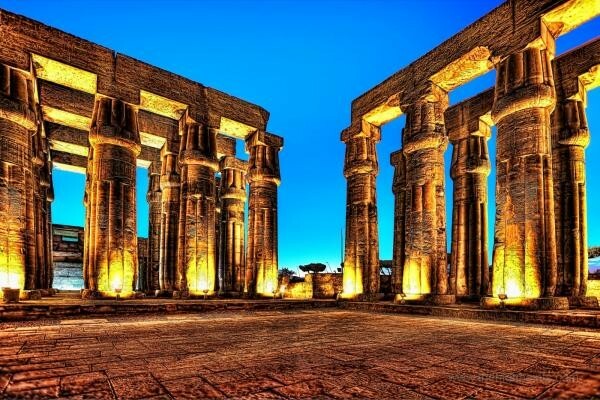 It is situated 40 kilometers south of Cairo. People mostly flock to this isolated and tranquil town to see the majestic pyramids. 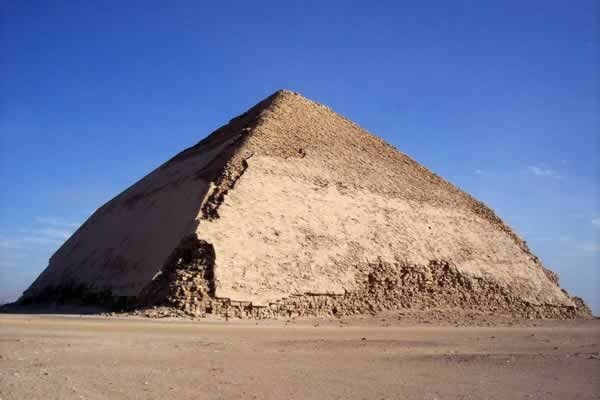 The pyramids at Dahshur include the Red Pyramid and the Bent Pyramid. It gives an amazing learning experience. Sharm el-Sheikh is a beach resort located at the tip of the Sinai Peninsula. It counts as one of the finest dining spots in the world. 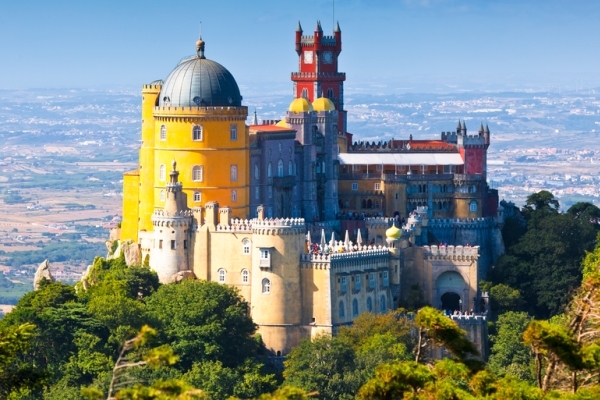 The place was also designated by UNESCO as the finest city in beauty and peace. The city played an important role in establishing peace and justice in the area of Middle East. The place has also hosted the many international peace conference with parties of different countries. The most popular day excursion includes visits to Nabq jeep trips to the Colored Canyon and overnight trips to Mt. Sinai and St Catherine’s Monastery. 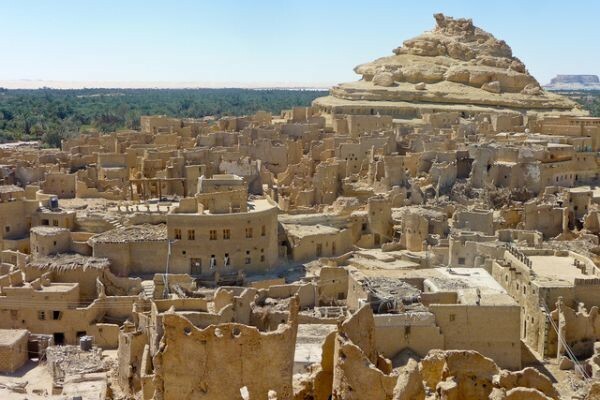 Siwa Oasis, located on the western border of Egypt, was an isolated place until the 19th century. Today, it is a popular attraction in Egypt. The geographical seclusion of the oasis sets it distinctly apart from the mainstream culture of Egypt. People come here to the stroll through the palm groves, enjoy the freshwater springs and explore the remnants of Greco-Roman past and Old Shali, the mud fortresses. At the edge of the Oasis, the Great Sand Sea provides fodder for the desert exploration. You can hire a bicycle or ride in a donkey cart to explore the oasis. This place will surely cast a spell that will be hard to resist. 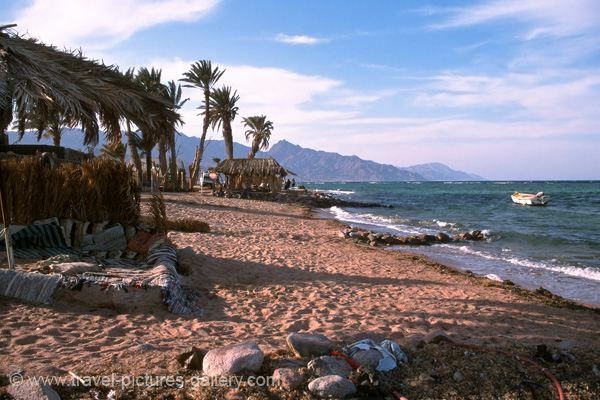 The coastal village Dahab is the prime resort for the Egypt travelers. It is located on the Gulf of Aqaba, right at the southern tip of Sinai. Dahab was once an isolated coastal village but was later turned into ‘an alternative’ resort, offering cheap accommodation with a laid-back lifestyle. The town is clean, safe and family-friendly, all thanks to its regulation of operators. The combination of the Sinai desert and the Red Sea makes it a perfect getaway for scuba diving, rock climbing, windsurfing, camel riding, and desert trekking. 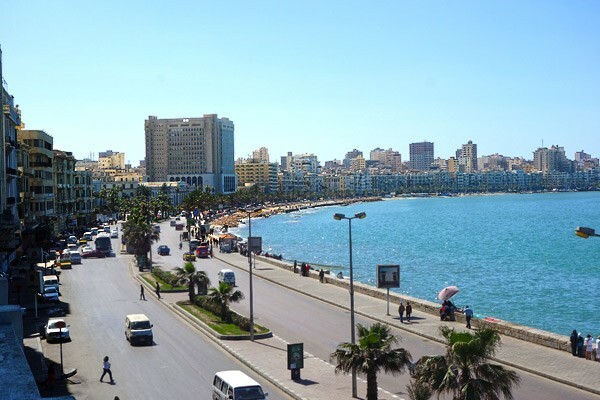 Alexandria is the leading port and transportation hub of Egypt. It is located on the coast of the Mediterranean Sea. The city, founded by Alexander the Great, was once considered the crossroad of the world. The place houses some of the most famous Alexandria’s historic sites, including a library containing more than 500,000 books, though a majority of it was destroyed by the devastating earthquake in the 14th century. The city may have faded off its cosmopolitan self, but is still worth the visit. Alexandria is a perfect place to sip some coffee in the old cafes, to ponder the ghost of the past and gaze up at the époque architecture of the place. Hurghada, located next to the Red Sea, was once a small, unimposing village with a number of sandy beaches. Today, it has morphed into one of the most visited tourist destination with more than 100 different hotels lining the shore. 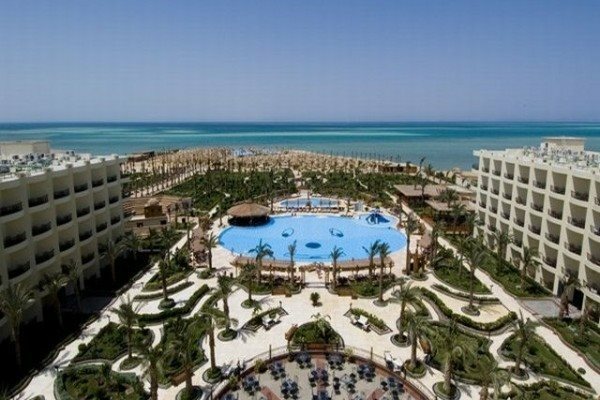 Hurghada is divided into three main areas- Ad-Dahar, Gebel el-Afish and Sigala area. The hotels and the expanded infrastructure will provide you with excellent facilities for sailing, boarding, deep-sea fishing. The central location of the village will provide you the gateway to the prime offshore reefs. Hurghada is very popular for its diving opportunities. It is the best site if you want to combine a diving holiday with the Nile Valley Sites. Just outside Hurghada is situated the ancient Roman quarry named Mons Porphyrites and Port Safaga. You can also visit there for a short trip. The Baharriya Oasis is a 2000 square kilometer depression located in the southwest Cairo. It is truly a surreal place to visit in Egypt. The place was prosperous until the 4th century. But the decline of the Roman rule left much of its agricultural land to be retrieved by the surrounding deserts. 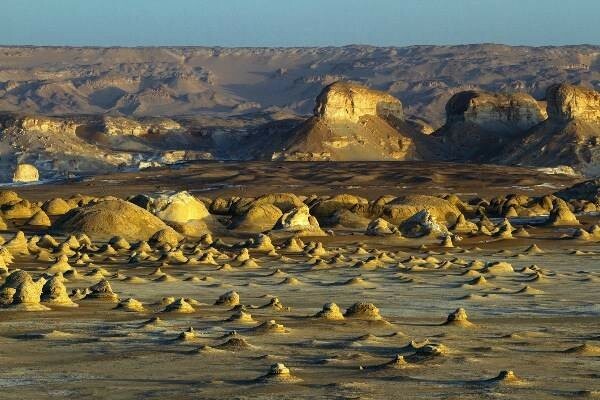 The desert forms an unusual moon-like landscape. The oasis has local villages with mud brick houses and ancient streets. The place has received much of the archeological attention, following the discovery of Greco-Roman tombs. It is believed that there are more than 1,000 mummies here, but just a few have been excavated. There are so many sites to visit in Egypt that the length of the trip will never seem long enough. You will also meet people in your tours that have been to Egypt more than ten times and keep returning only to witness something new. Once you visit this place, you would surely want to revisit it. But make sure you plan your visit well before venturing. Have you even been to Egypt? Which ones are your favorite sites in Egypt? Tell us in the comment section.